Welcome to this mega list of free preschool printables, everything here is found on my blog, and I thought it would be a great way to showcase all of my content and make it easier for you to find what you need. They are organized by type of printables from lacing cards to counting, to math. I’ve had a great time creating printables with many more to come, as my daughter moves into Kindergarten, you’ll start seeing more printables for K as well. Going forward you’ll see more printable packs, rather than individual posts for each component. This will allow me to add new themes and add some variety into my printables so enjoy. In this post, you’ll find a wide variety of preschool printables that will help your preschooler with counting, fine motor skills, math, and science concepts. them and then hole punch them to create your very own lacing cards based on your child’s interests. There are a ton of themes that you can find here. The counting cards go up to 12, you can clip the answer with clothespins or use a counter or dot marker as well. The puzzles work well if they’re printed on cardstock and then laminated to keep them durable. These are great for pre-writers and help your child start to gain control of those writing skills. Be sure to print them as an image, if you find that the lines are not printing out. My kids loved coloring pages, it also helps with creativity, fine motor skills to help with writing as well. Try these writing worksheets to practice forming letters correctly in fun themed writing worksheets that your kids will love. Here is a list of fun ways to practice letter recognition or matching lower and uppercase letters together. Fun ways to bring math into a variety of seasonal themes that your preschooler will enjoy. 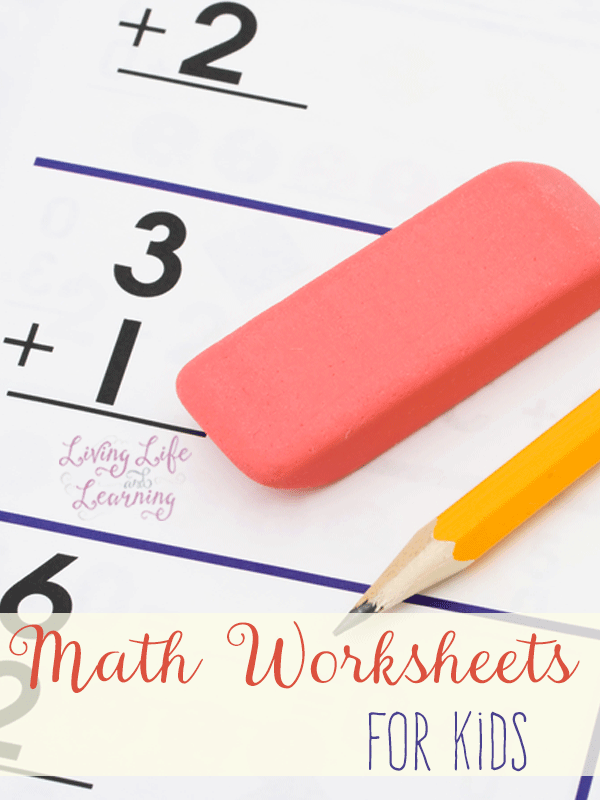 Change up those old math worksheets with fun I spy printables or math puzzles. Learn about your favorite animals or bugs, the ocean or weather with these fun science printables for preschooler. Learn new science vocabulary, life cycles and more. 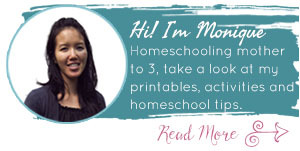 While printables are great, be sure to have a lot of hands-on experiences for your preschooler too. We love these math blocks for patterns and counting too. 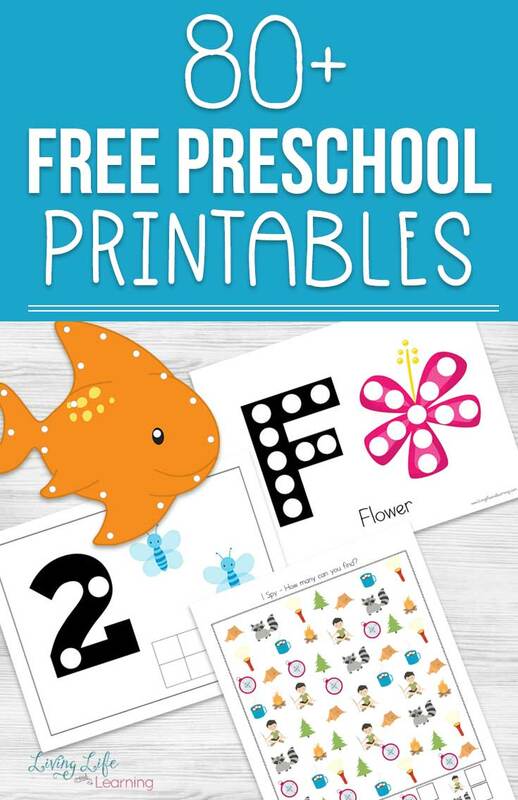 Did you enjoy this huge list of free printable preschool worksheets? 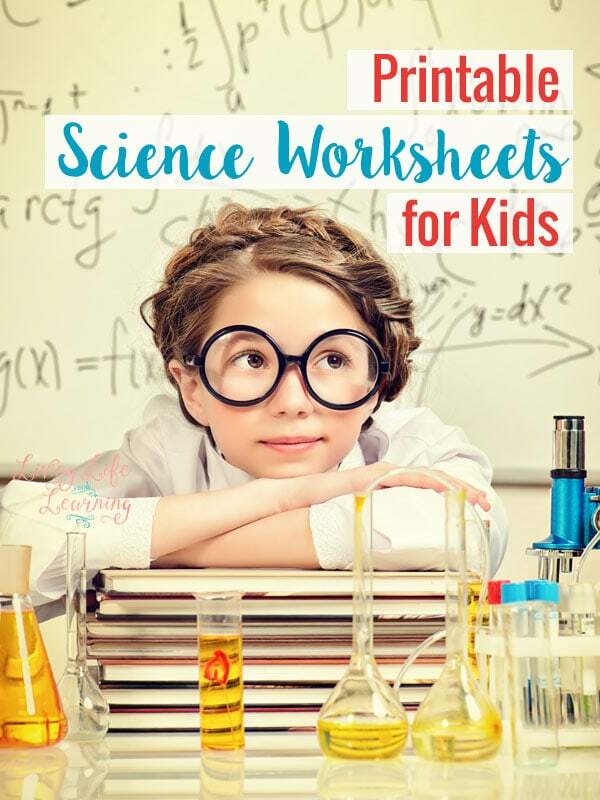 Have you seen my Printable Science Worksheets?